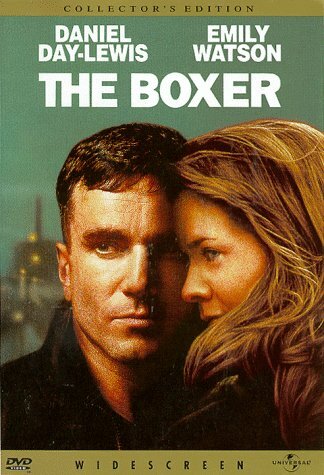 Director/co-writer Jim Sheridan revisits the turmoil of Northern Ireland with "In the Name of the Father" star Daniel Day-Lewis in this drama about an amateur fighter and ex-IRA member who returns home to Belfast after 14 years in prison. Hoping to resume his ring career--and his romance with married ex-lover Emily Watson--Day-Lewis' plans to reopen the local gym as a boxing club for Catholic and Protestant boys rouses the anger of IRA leaders. 114 min. Widescreen (Enhanced); Soundtracks: English Dolby Digital 5.0, French Dolby Digital Surround; Subtitles: Spanish; audio commentary; documentary; biographies; deleted scenes; production notes; theatrical trailer; alternate ending.